St. Helens will host its annual holiday tree-lighting ceremony next weekend. This year's lighting will not only welcome the winter season, but will serve as a venue to honor volunteers who have helped with the city's Fourth of July fireworks program over the years. On Saturday, Dec. 8, the city will host a variety of events in downtown St. Helens in the Columbia Courthouse Plaza and the waterfront, including a new memorial fireworks display. Mayor Rick Scholl said the idea to have a fireworks display this year was brought to his attention by volunteer Jimmy Dillard and a group of St. Helens residents who wanted to honor Ed Lokken, a longtime supporter and volunteer with fireworks displays in St. Helens, who recently passed away. Lokken was also Scholl's uncle. The community members wanted to provide a display during the holiday season that would not only honor Lokken, but all volunteers who have helped with the fireworks presentations over the years. Lokken was recognized in 2016 with a Lifetime Achievement Award from the city for his 35 years of service helping organize and fundraise for the annual Fourth of July fireworks displays. "This year, local residents are spearheading a special fireworks tribute in honor of Ed Lokken and all the volunteers who have contributed to the annual Fourth of July fireworks show over the year," a press release from the city states. Working with Matt Brown, the city's finance director, Scholl is helping spread the word about the fundraiser. The St. Helens City Council also offered to help contribute funds, if the $5,000 goal is not reached. As of Tuesday, Nov. 27, $1,800 had been donated towards the display. Brown said donors can contribute to the fundraising goal until Jan. 1. The evening will kick off with the memorial fireworks display at 5 p.m. Fireworks will be launched from the city's waterfront property. "The show will be a tribute to Lokken's life and devotion to the St. Helens community and to the countless hours other volunteers have spent to continue the annual Fourth of July fireworks tradition," the press release adds. At 5:30 p.m., the tree-lighting will take place in the Columbia Courthouse Plaza. Hot cocoa will be served and live music will be played. Santa and Mrs. Claus are also planning to attend to take photos with children. and Willamette rivers for visitors to view throughout the month. Scholl said he is looking forward to the memorial fireworks display, as well as the traditional events that will be offered on the second Saturday of December. 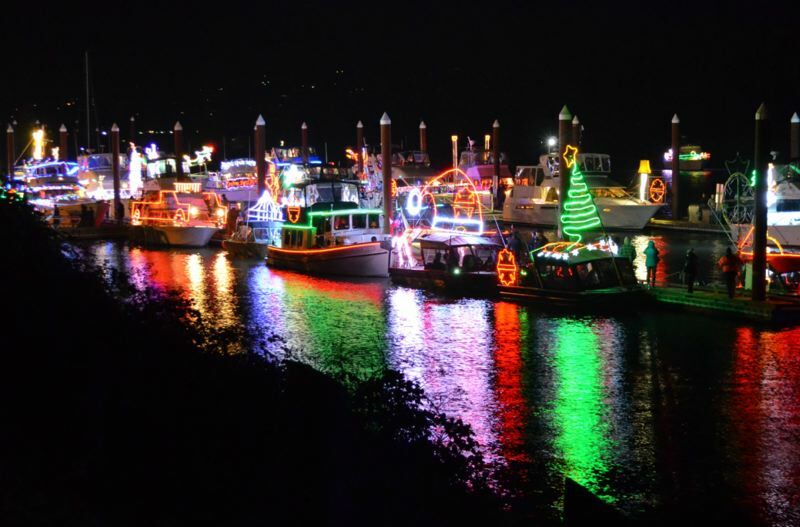 "Christmas Ships are always exciting, and so is the tree-lighting, and now we have one more event we're adding to it," Scholl said. "It's always a great time."